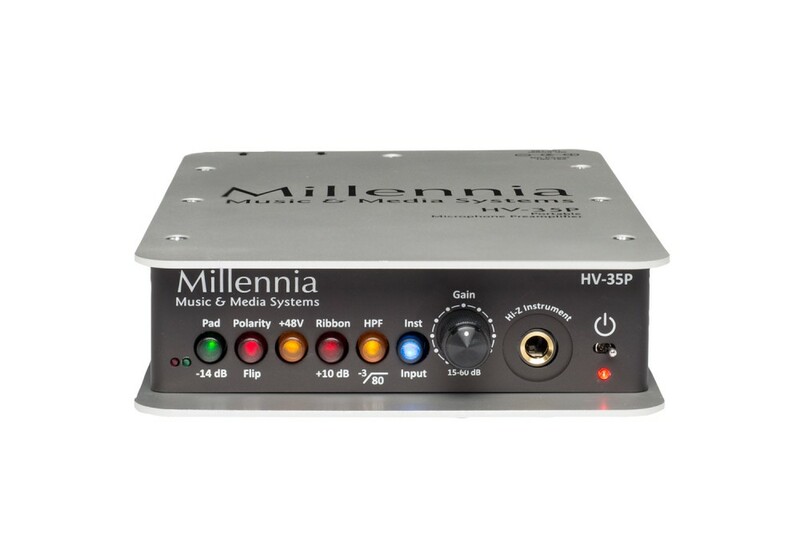 Millennia have expanded on the portable side of their range with the HV-35P, which brings the acclaimed HV-3 micpre (with over 35,000 HV-3 pres in use worldwide) to a rugged portable format. Housed in an aluminium case and powered with just 12-15VDC the HV-35P can go anywhere. The HV-35P comes packed with the 500 series HV-35 preamp, suitable for use with a wide range of mics, with 48V phantom power and ribbon mic compatibility. It also boasts a DI input for instruments and features pad, filter and other options for optimal use in many recording situations. 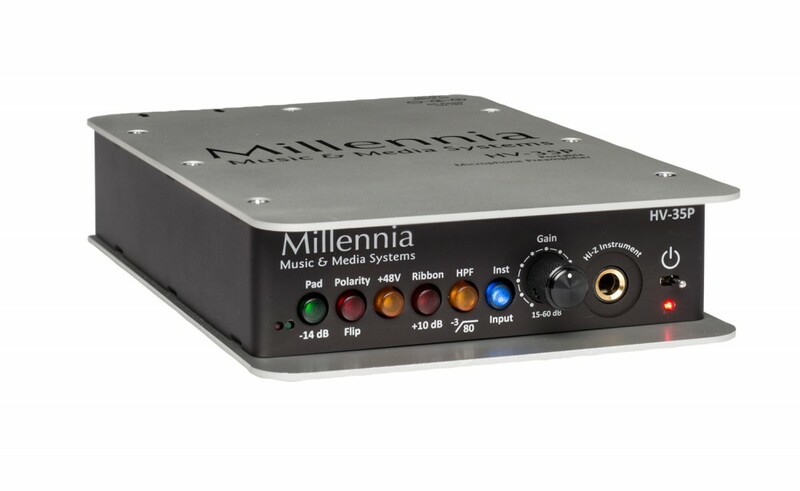 This handy little box can be stacked flat, or on its side, and is formatted to fit three side by side in a rack shelf; Millennia’s renown quality in a convenient package to go with you anywhere, from studio to mountain top.